Introduction: There are many types of cutaneous adverse drug reactions (CADRs), from transient erythema to severe life-threatening conditions such as Stevens-Johnson syndrome (SJS) and toxic epidermal necrolysis (TEN), with significant morbidity and mortality. Awareness of the local epidemiology of CADR may play a vital role in future clinical management protocols. 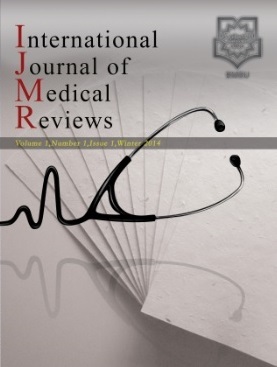 Methods: A retrospective review of all patients referred to the Department of Dermatology of Hospital Tengku Ampuan Afzan, Kuantan, Pahang, Malaysia, with confirmed CADR from 2013 to 2016 was carried out to determine the epidemiology of CADR in the local population. Results: A total of 62 reactions involving 59 patients were seen among 7,353 new patients, yielding an incident rate of 0.8% (yearly CADR rate range: 0.16 – 1.89%), with the highest rate seen among indigenous peoples (2.53%). SJS (15 cases) was the most frequent CADR, followed by maculopapular eruption (13) and TEN (6) among others. Severe CADRs (SJS, TEN, drug-related eosinophilia with systemic symptoms – DRESS, and acute generalized exanthematous pustulosis – AGEP) accounted for 40.3% of all reactions. Two-thirds of patients were aged between 21 and 60 years, while the mean age was 47.2 years (range: 3 – 92). More females (80.0%) had SJS than males (20.0%), but TEN showed a reverse pattern (83.3% males vs 16.7% females). Overall, the male:female ratio was 1.68:1. Allopurinol was the most common culprit drug causing SJS (7/15) and TEN (2/6). Cotrimoxazole and Cloxacillin were the two most common antimicrobials implicated in CADR, while the most common analgesic was Celecoxib. One-third of our patients took only a single drug, while the average number of drugs taken by a patient was three. Two patients died, one each from dapsone hypersensitivity syndrome and TEN, resulting in a mortality rate of 3.39%. Conclusion: SJS was the most common CADR encountered in our center, while the most common culprit drug was allopurinol. Antibiotics as a group caused the most CADR.